Dri­ving what appears to be a Wolse­ley, Bird­cage Walk, West­min­ster, 1925. 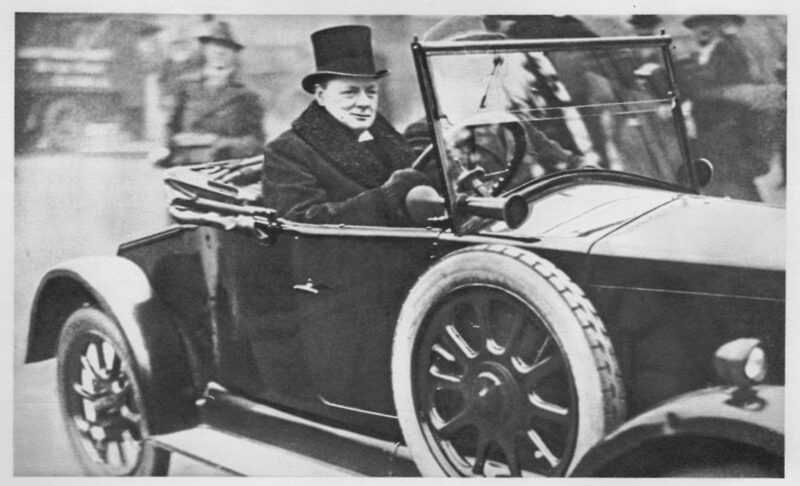 (Churchill was then Chan­cel­lor of the Exche­quer.) Note the ding in the right front fend­er!